The Clifton Show is a great local show that takes place annually in Northern New Jersey. 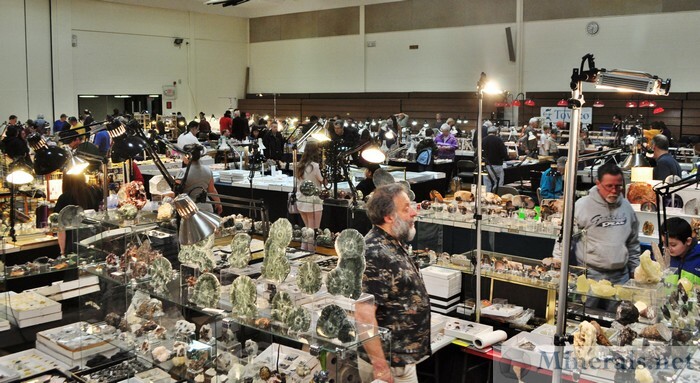 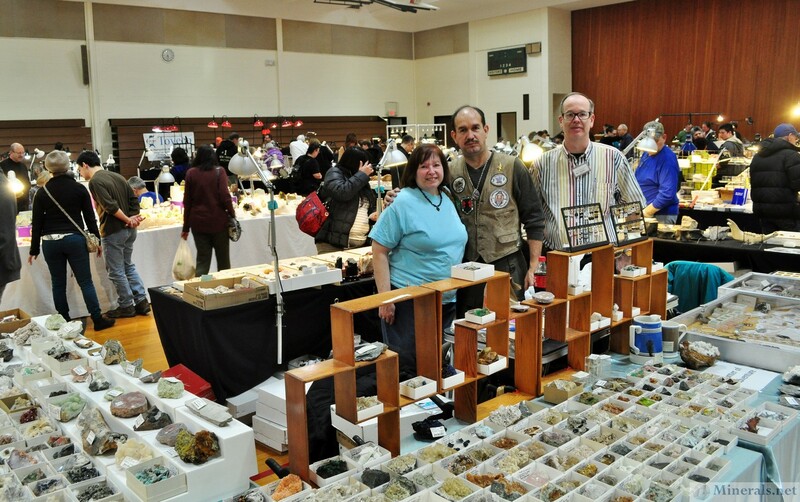 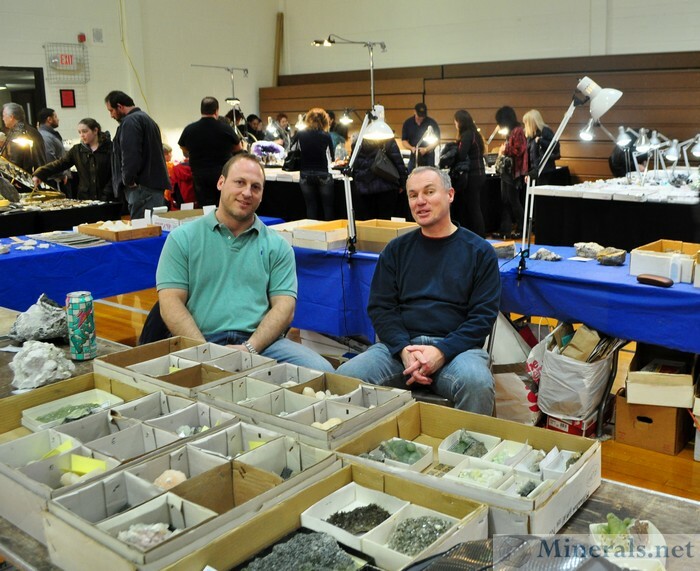 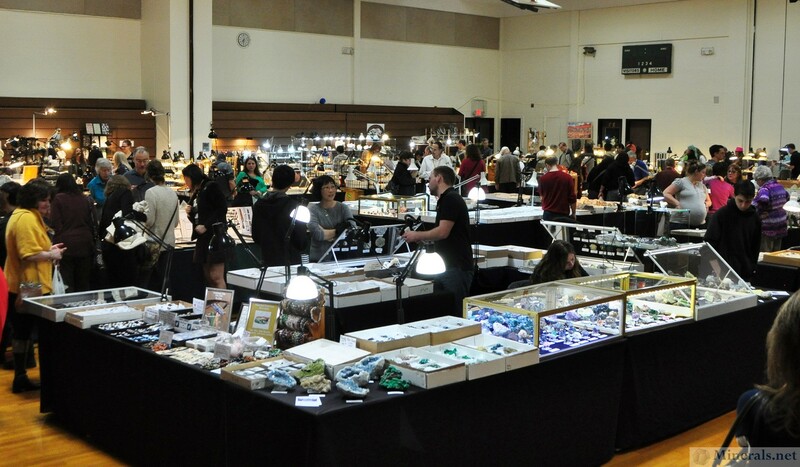 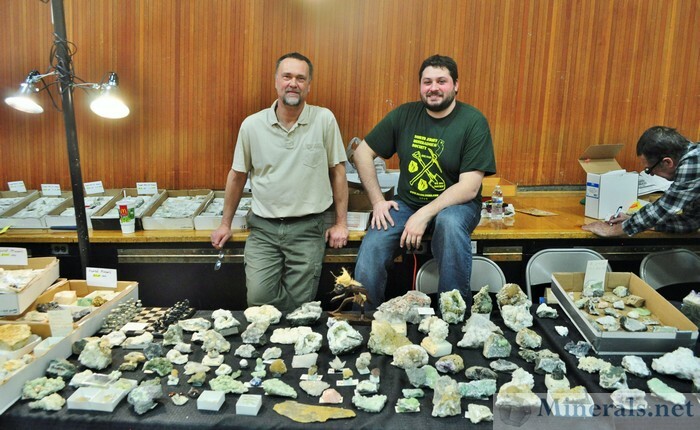 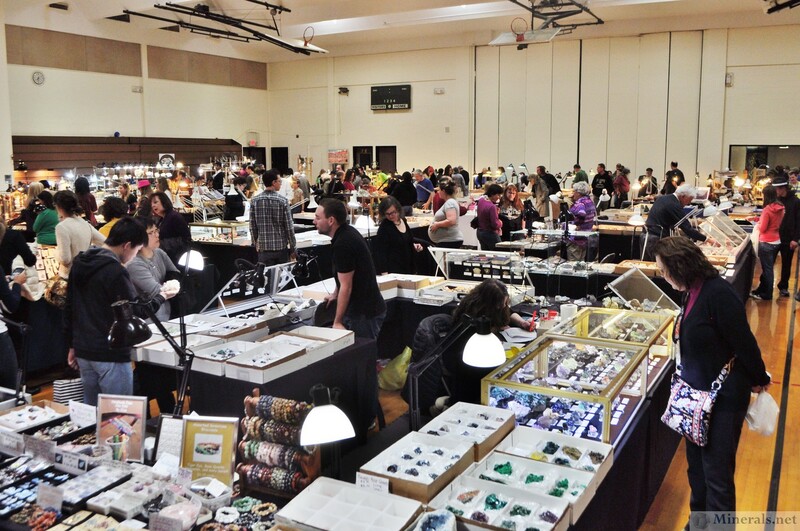 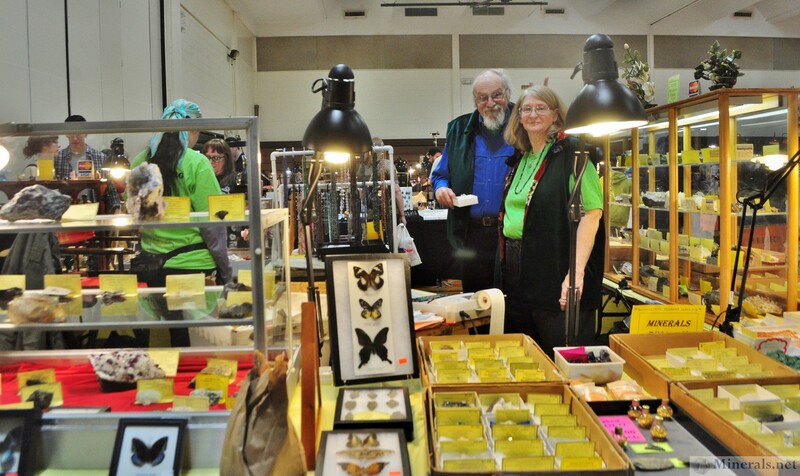 It is organized by the North Jersey Mineralalogical Society, and features many dealers with local material from the New Jersey area, in additional to the general worldwide material and jewelerly. 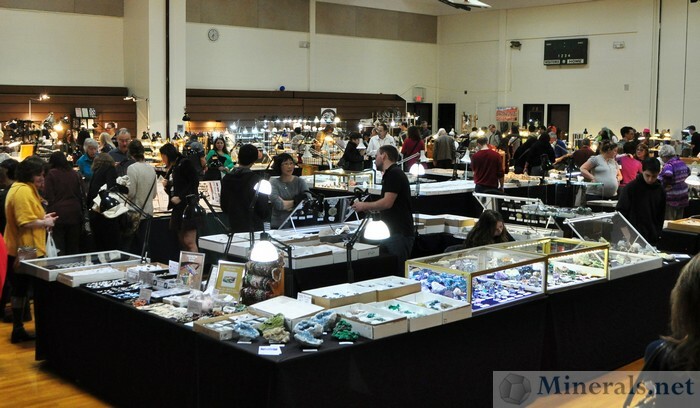 This year's show took place on March 8-9 and was quite enjoyable. 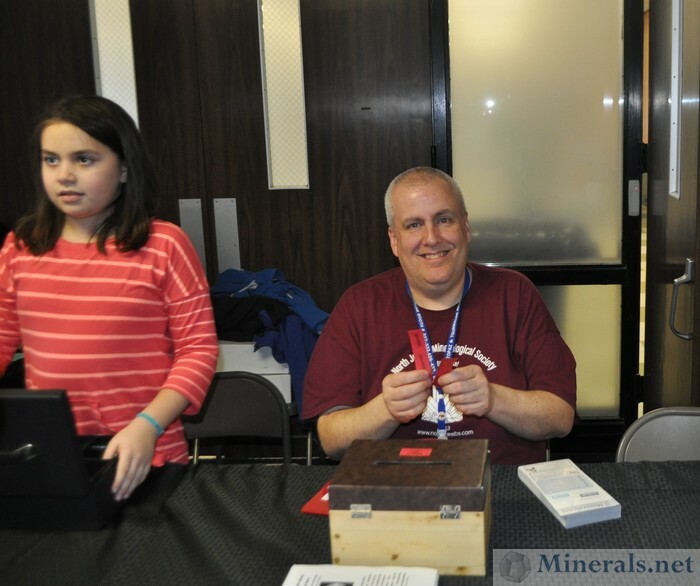 Please enjoy the pictures below. 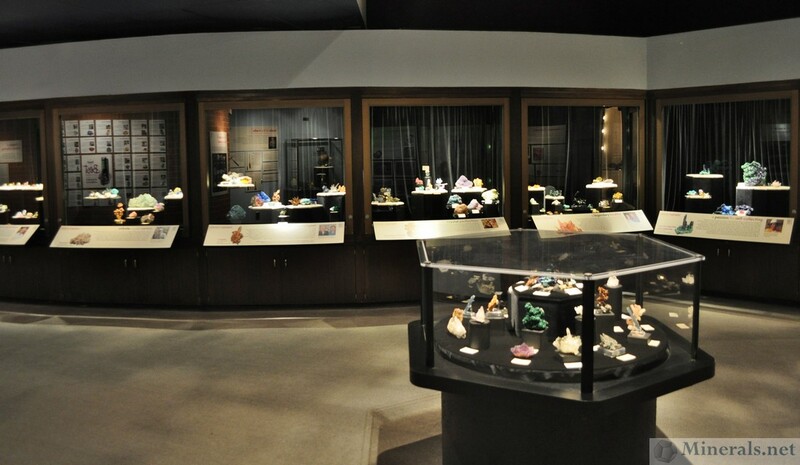 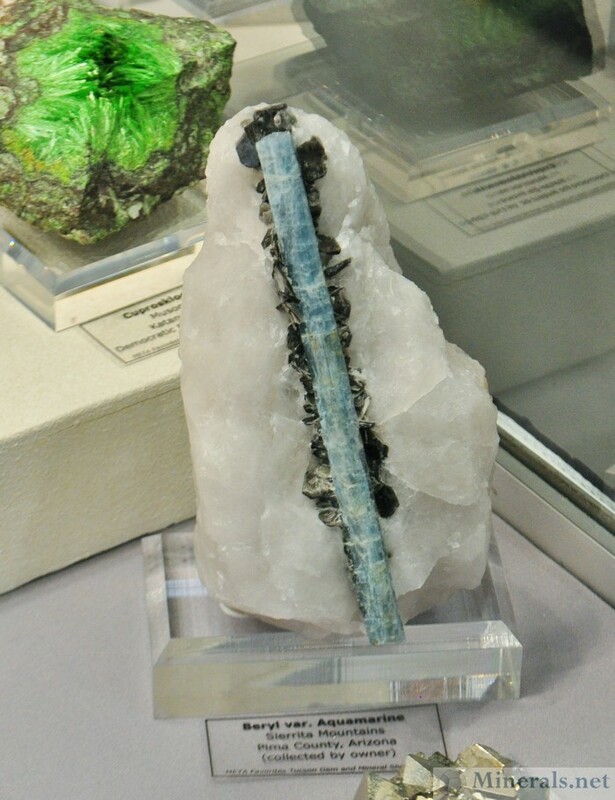 Every year the University of Arizona Mineral Museum puts together a special mineral exhibit with a particular theme. 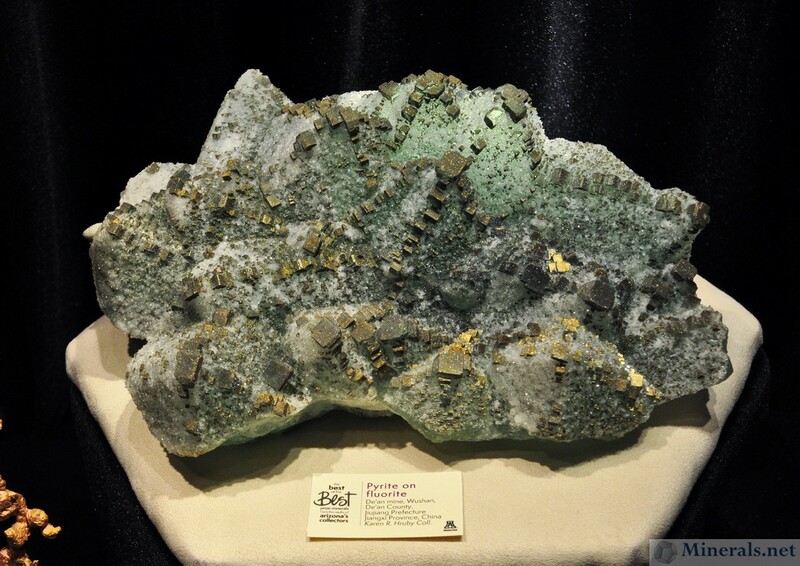 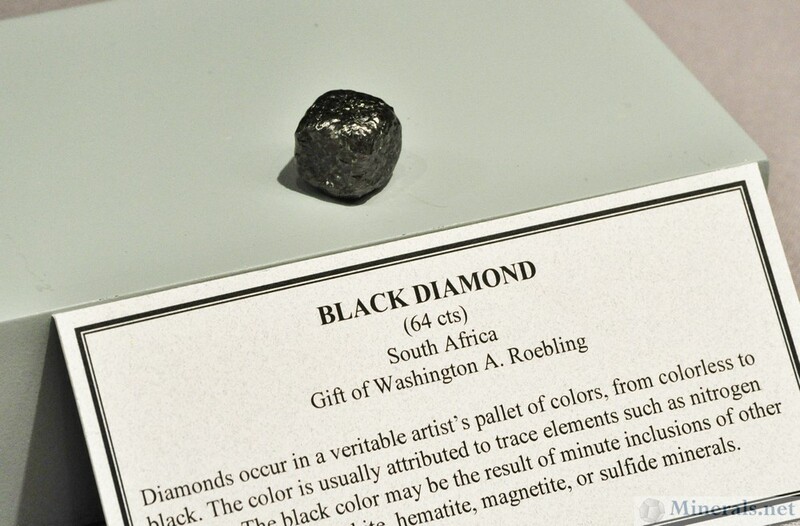 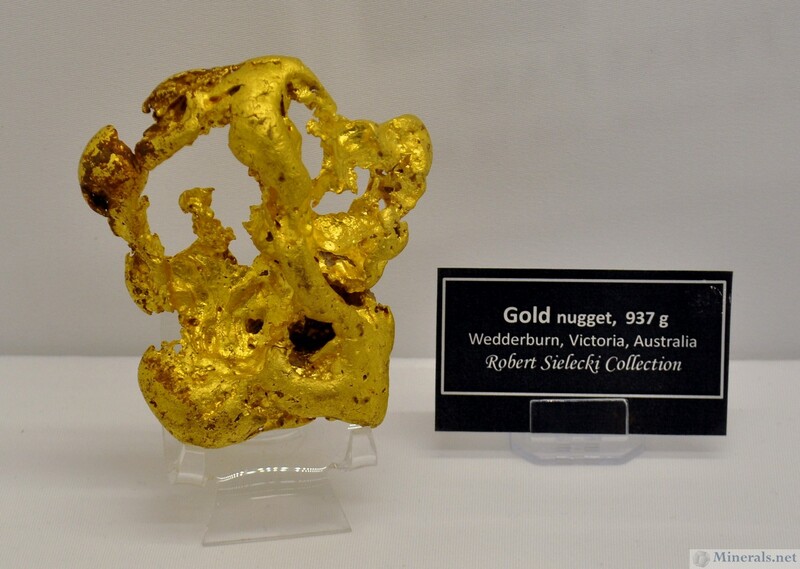 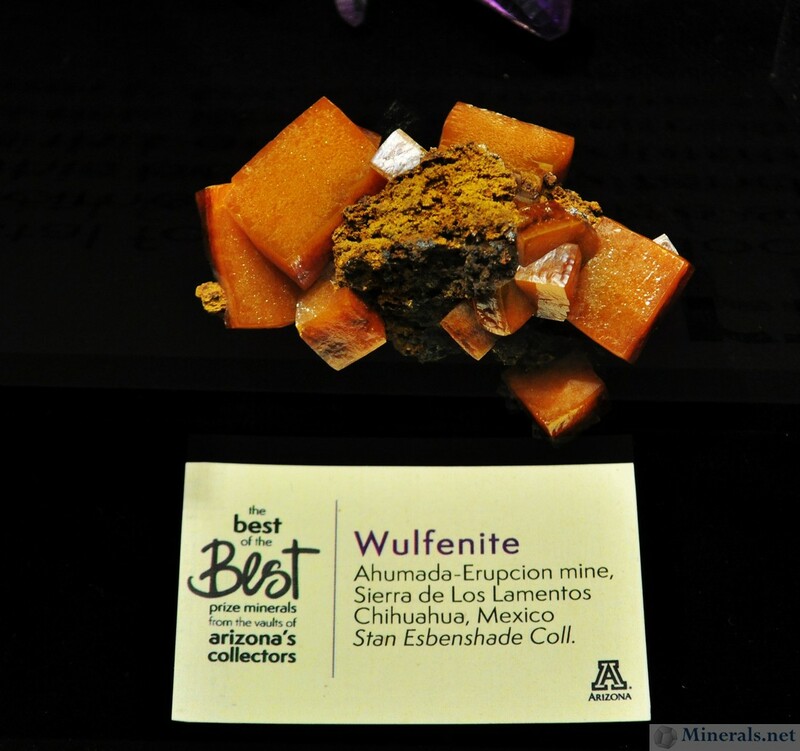 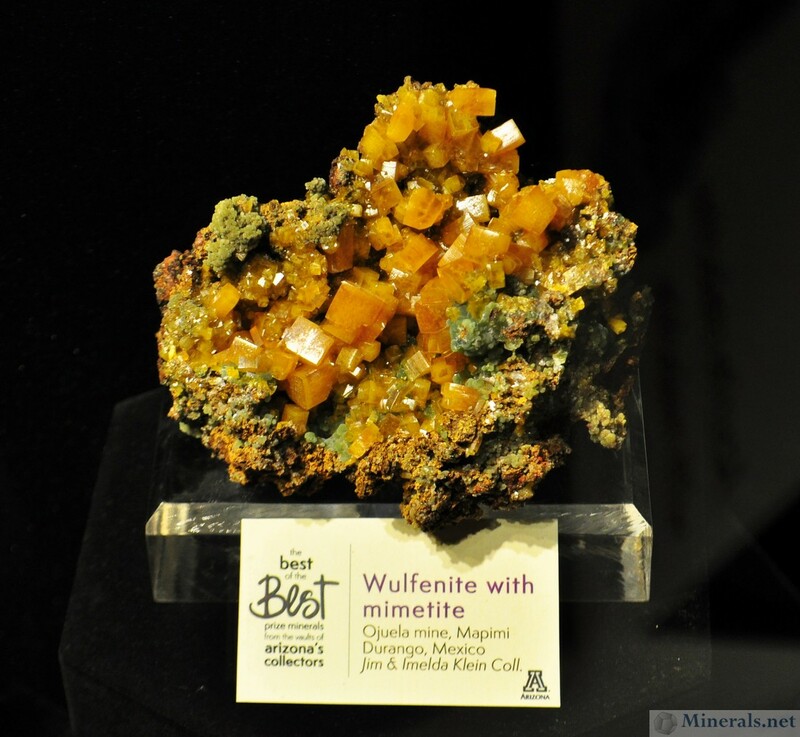 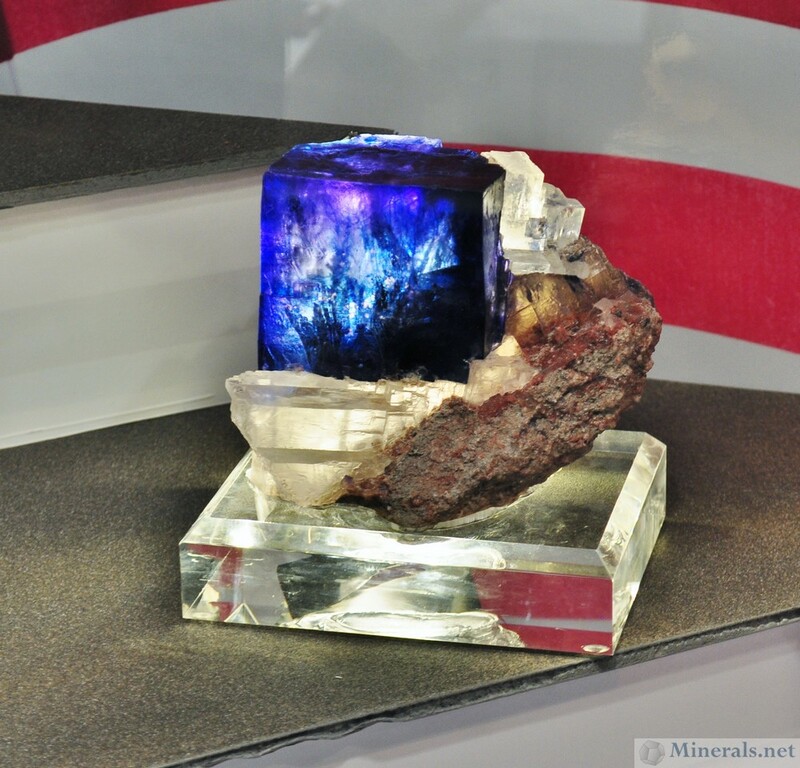 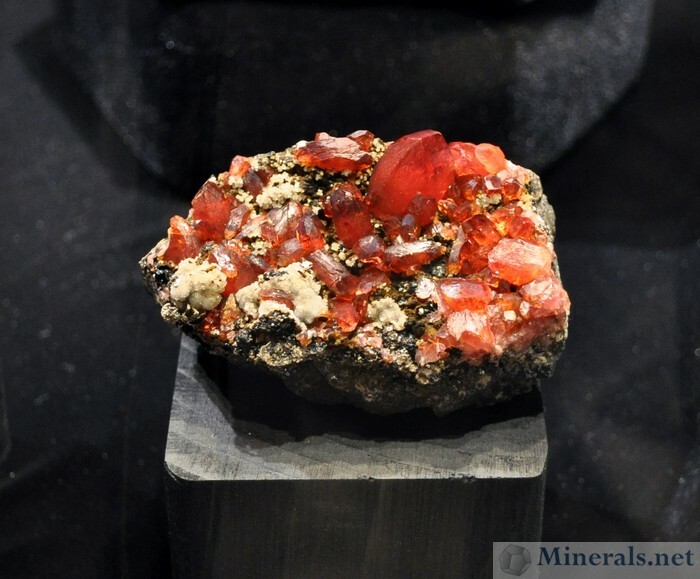 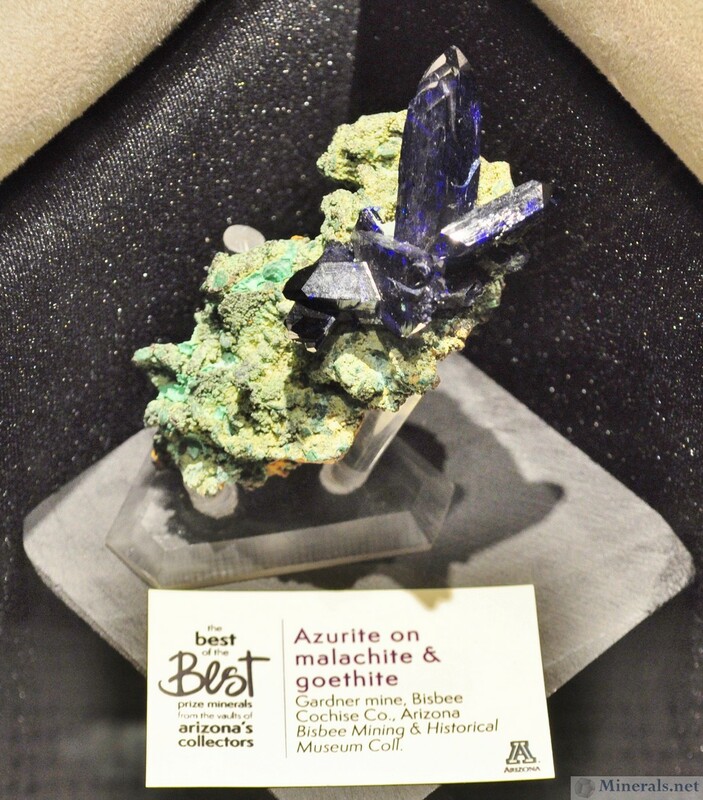 This year, the theme was "The Best of the Best: Prize Minerals from the Vaults of Arizona's Collectors". 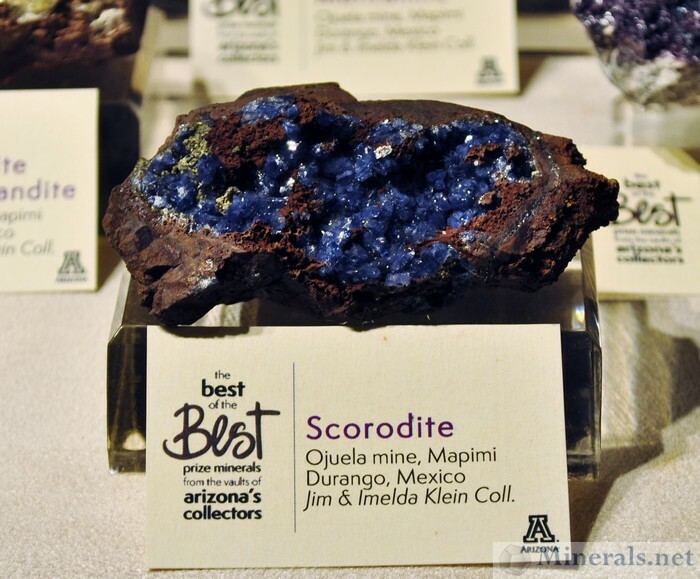 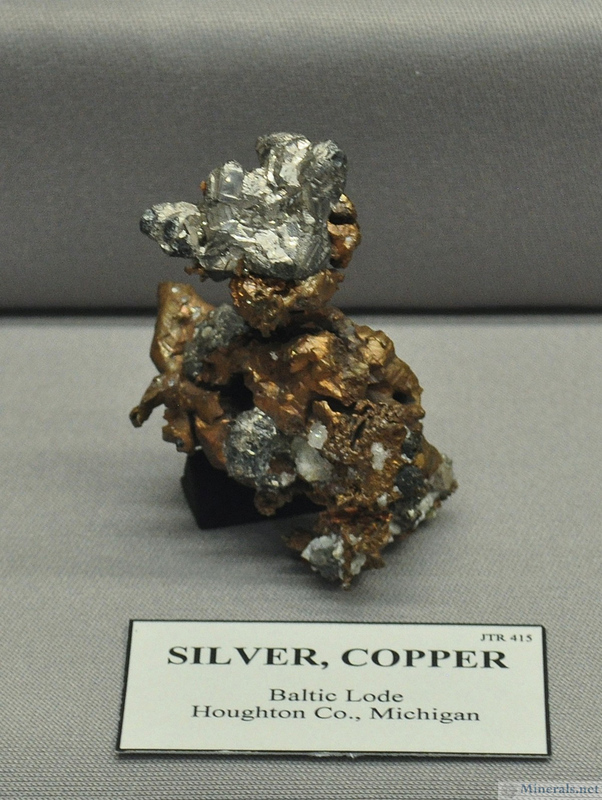 Arizona has one the country's highest percentages of mineral collectors, including those with outstanding collections. 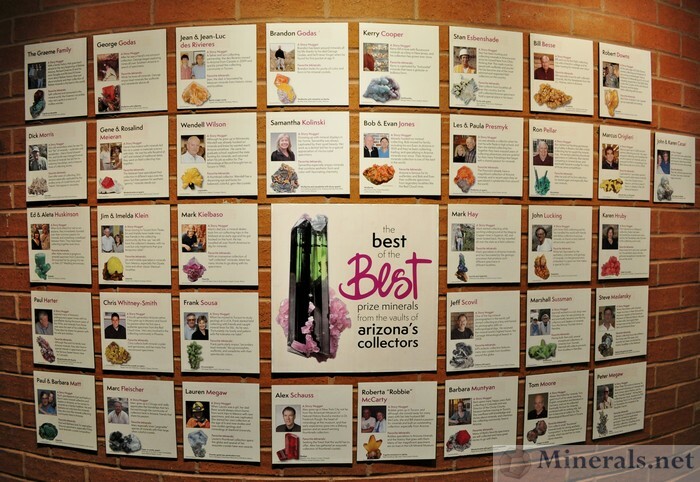 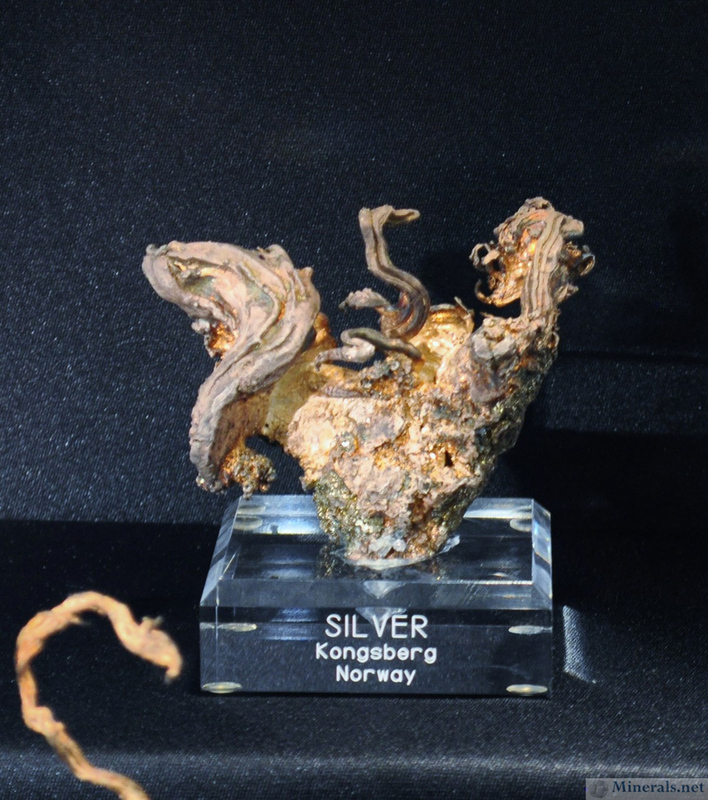 This special exhibit focused on culling some of the top-notch specimens from local Arizona collectors and publicly displaying them. 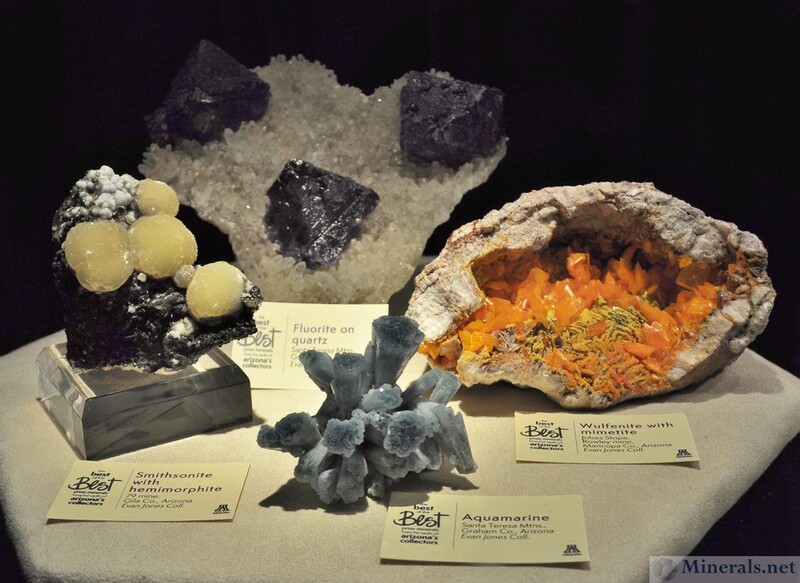 Many of these were already seen in the May-June supplement to the Mineralogical Record titled "Mineral Collections in Arizona". 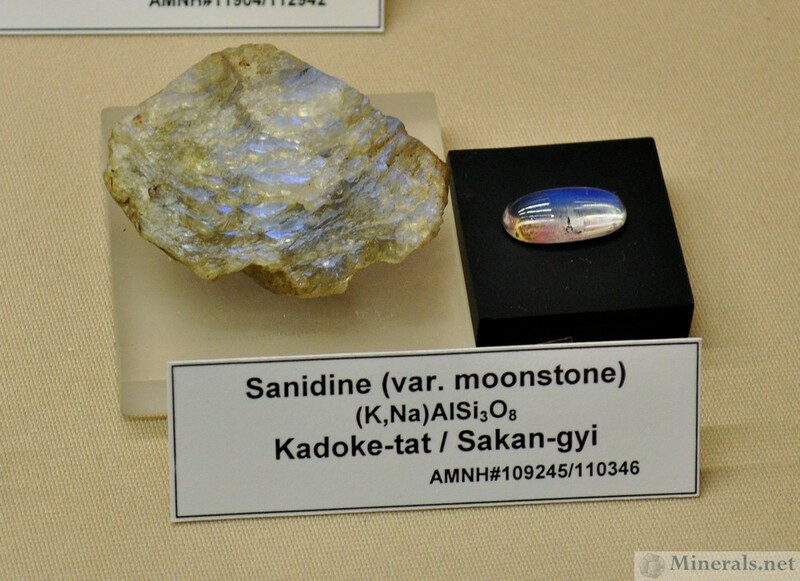 This Crystal Plate Rivals the Vanadanites from Mibladen. 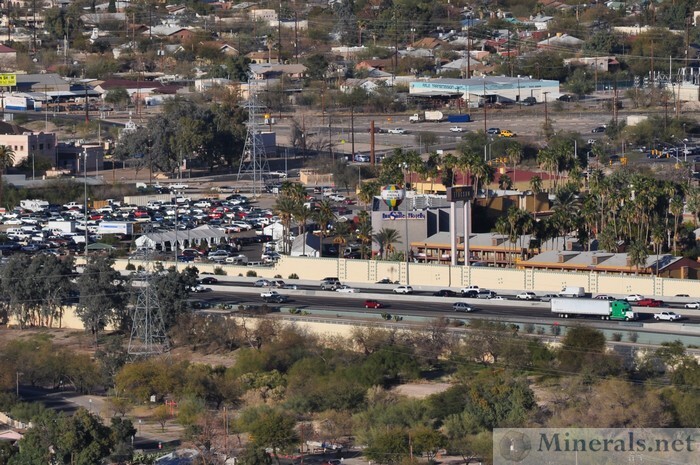 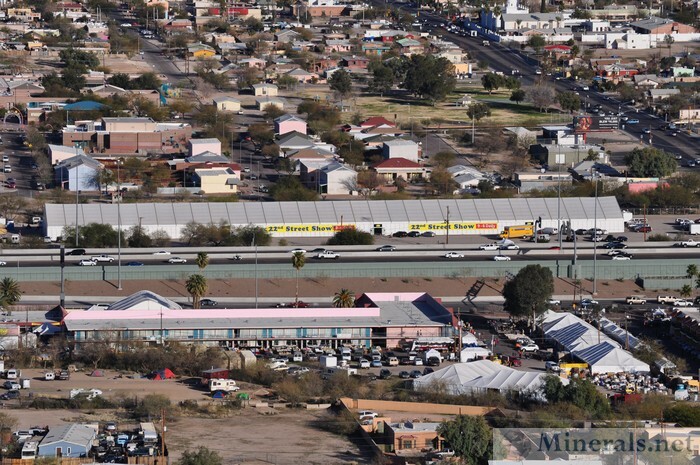 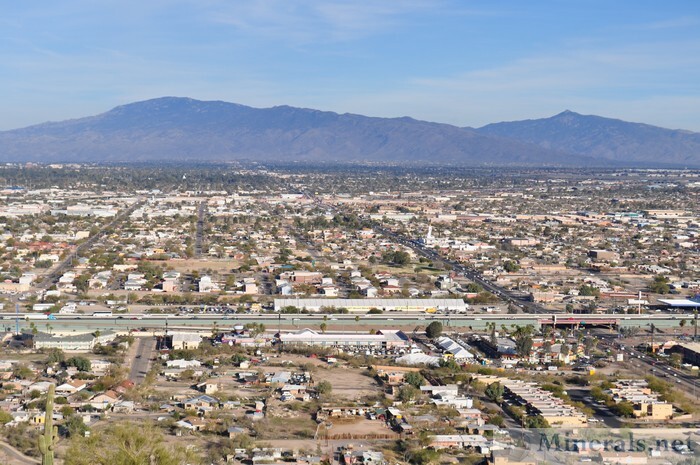 One of the prominent features of Tucson is Sentinel Peak, a small mountain right outside of downtown Tucson that offers sweeping views of the city. 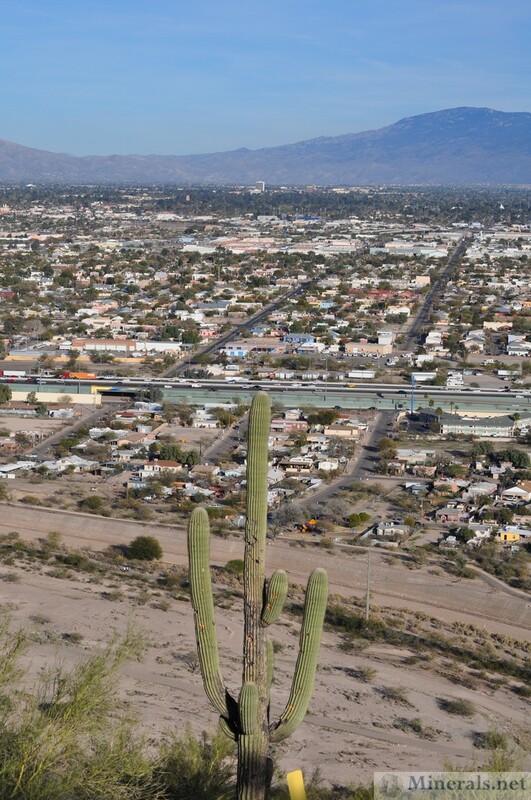 There is a road that climbs up the mountain to the viewpoint, where you can see the entire city including most of the show areas. I made the five minute drive up to take some pictures of the scenes down below with my zoom lens. 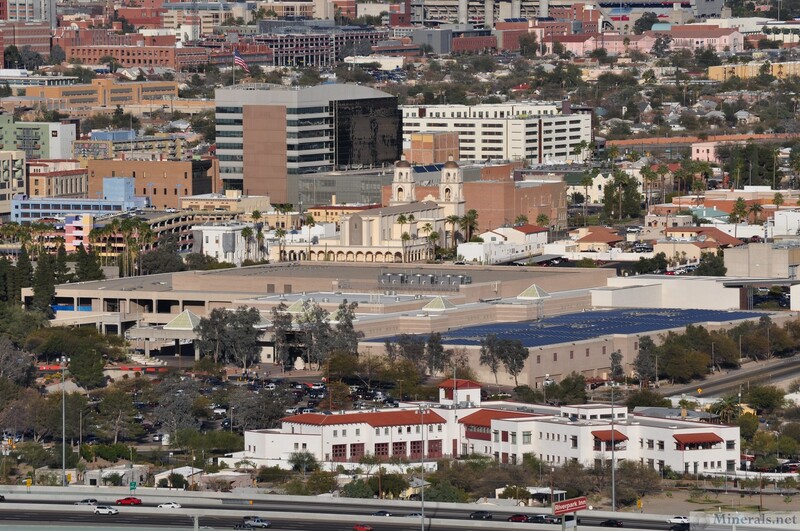 Downtown Tucson and the University of Arizona. Facing Northeast. 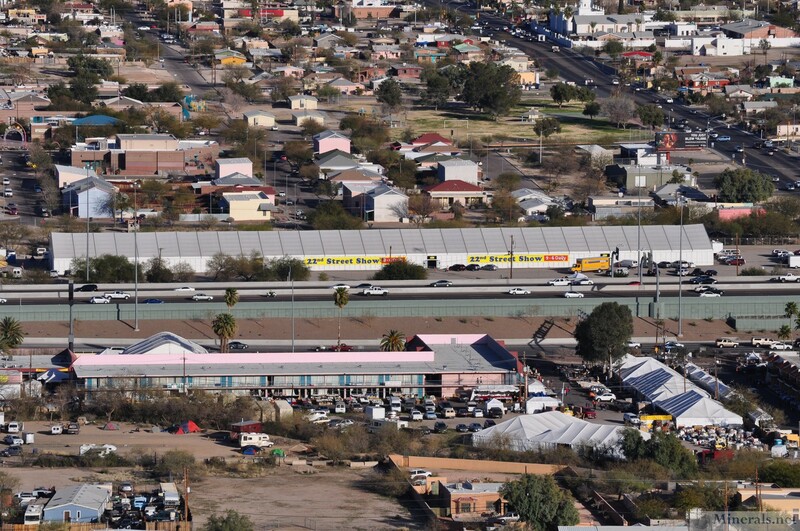 The GJX Tent and the Pueblo Show at the Riverside Inn are in view. 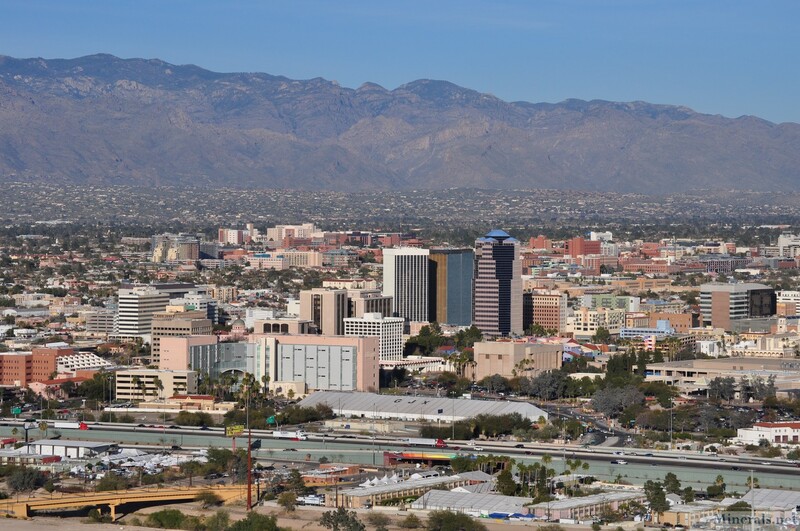 Sagauro Overlooking Tucson. Facing East. 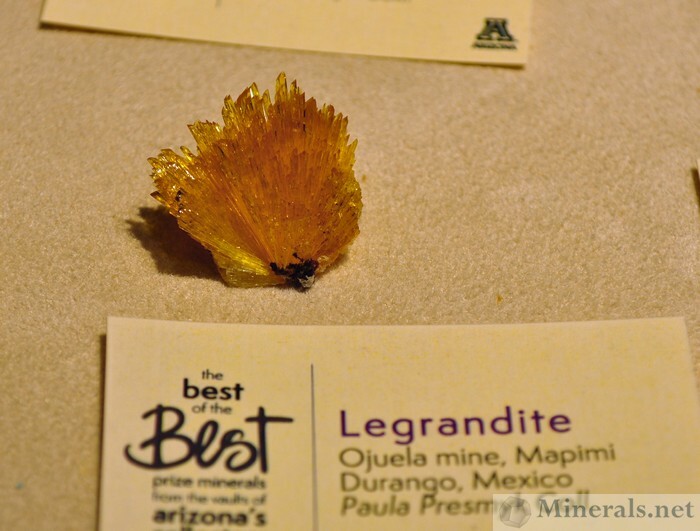 This blog post continues with the individual minerals I photographed from the public exhibits at the Tucson Convention Center. 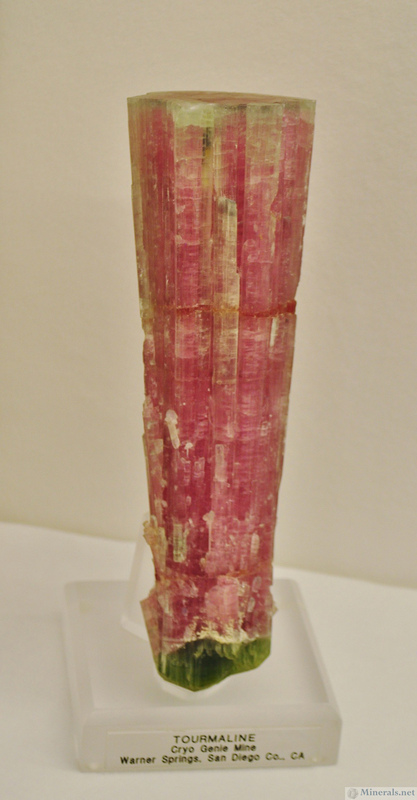 Euclase from the Mount Brussilof Mine, British Columbia, Canada. 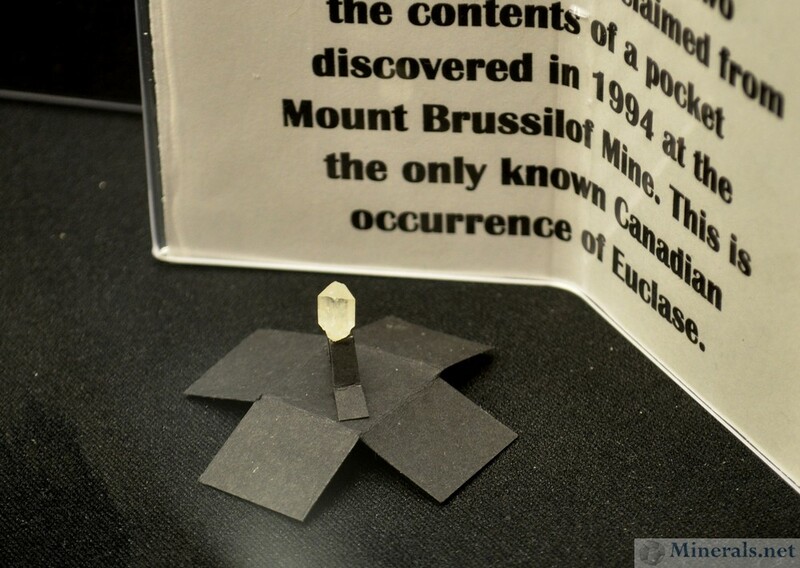 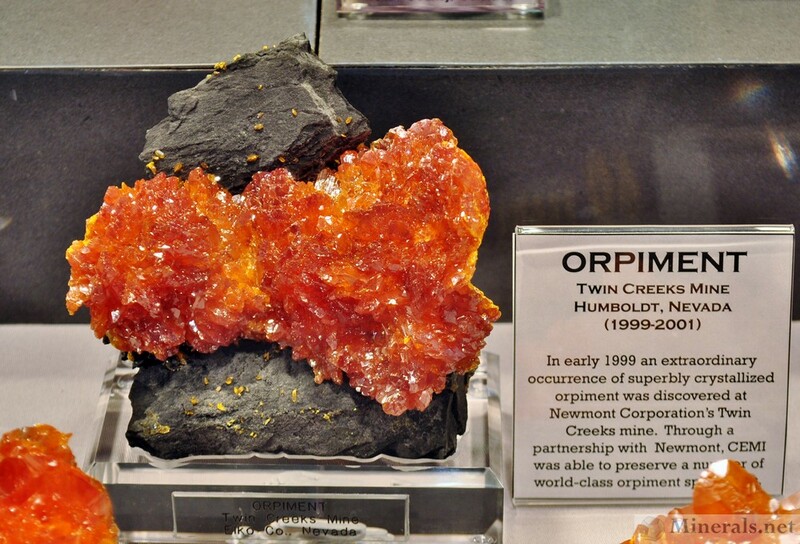 This is the only Canadian occurence for this rare mineral. 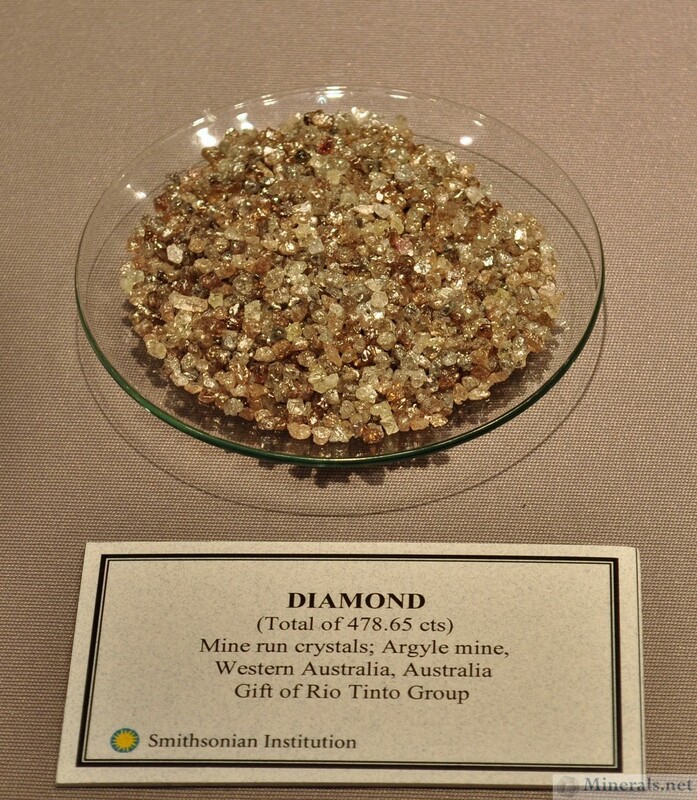 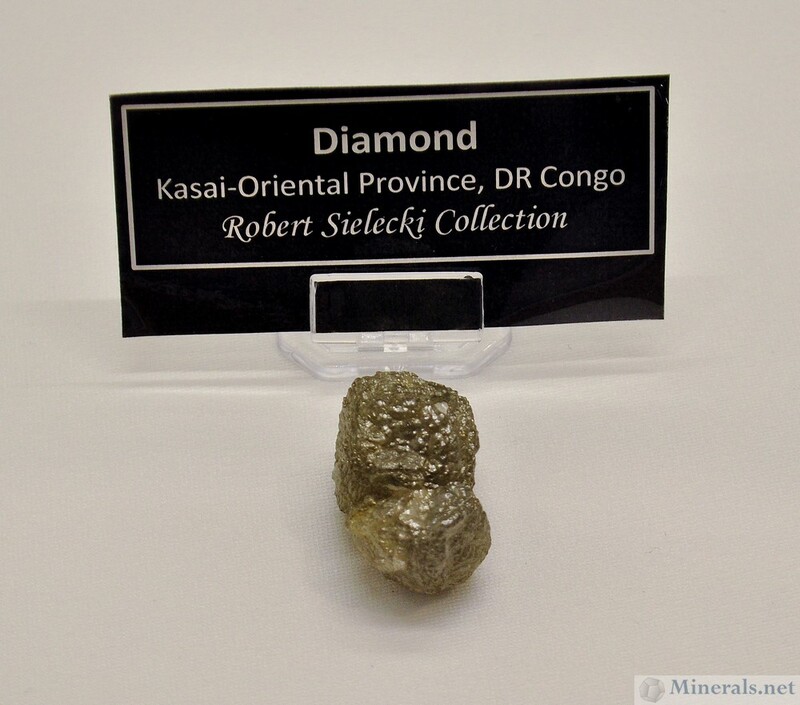 Diamond Rough Crystals from the Marange Diamond Field in Zimbabwe, From the Smithsonian Institution. 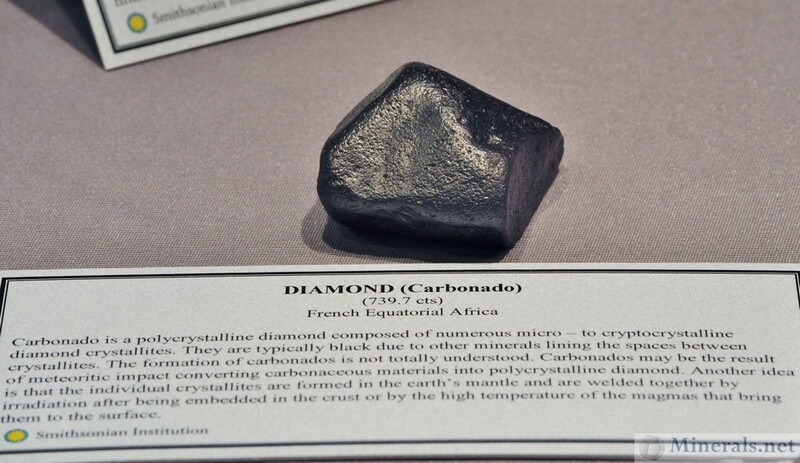 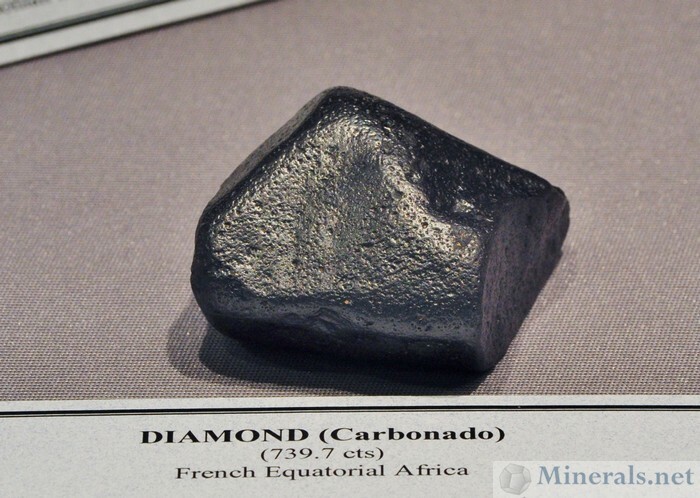 These were Smuggled Diamonds that the Museum now Acquired for Research. 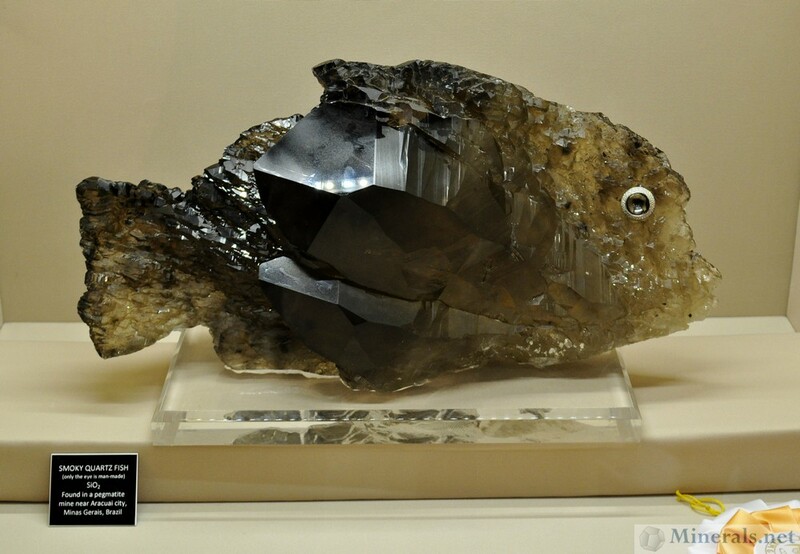 Enormous Smoky Quartz gwindel from Switzerland. 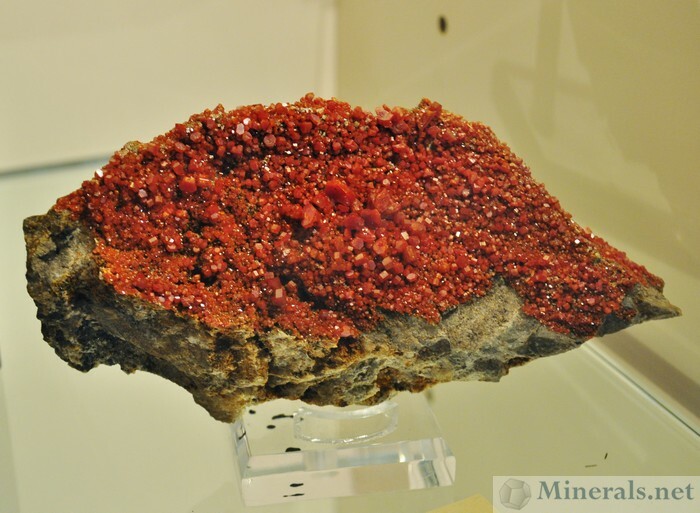 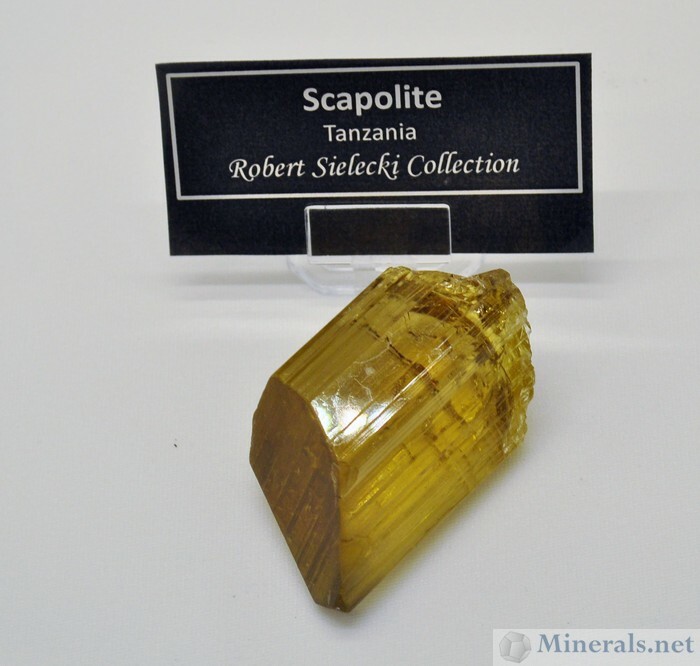 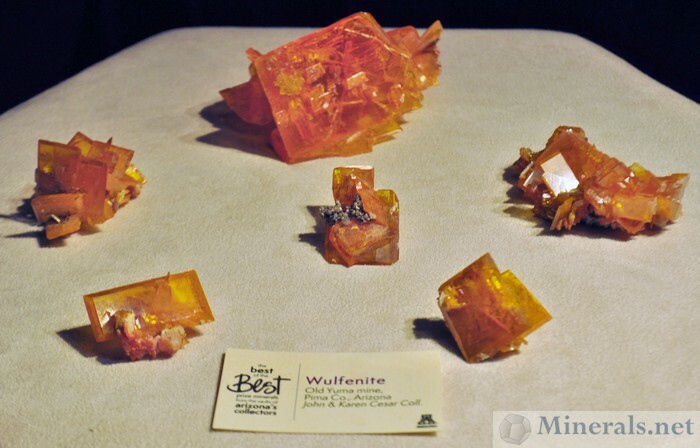 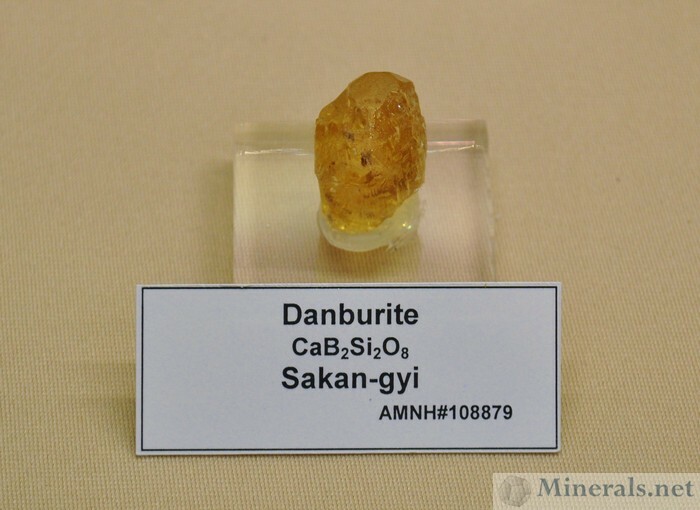 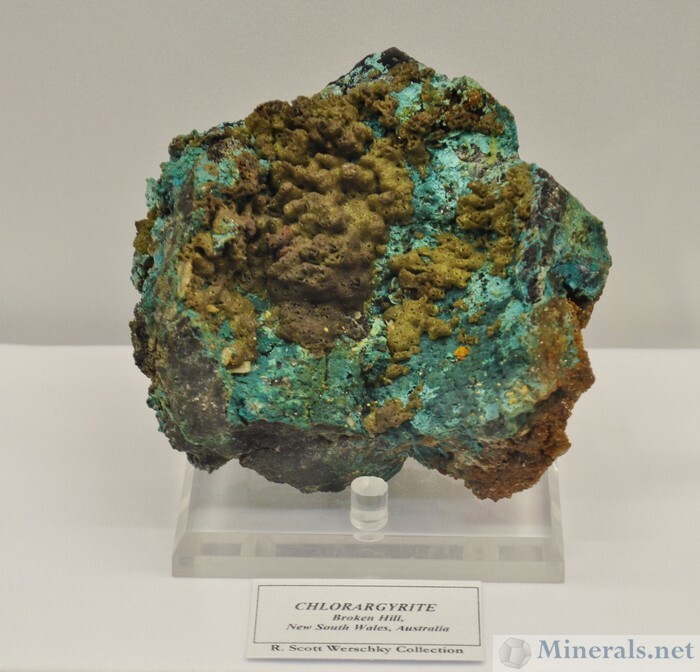 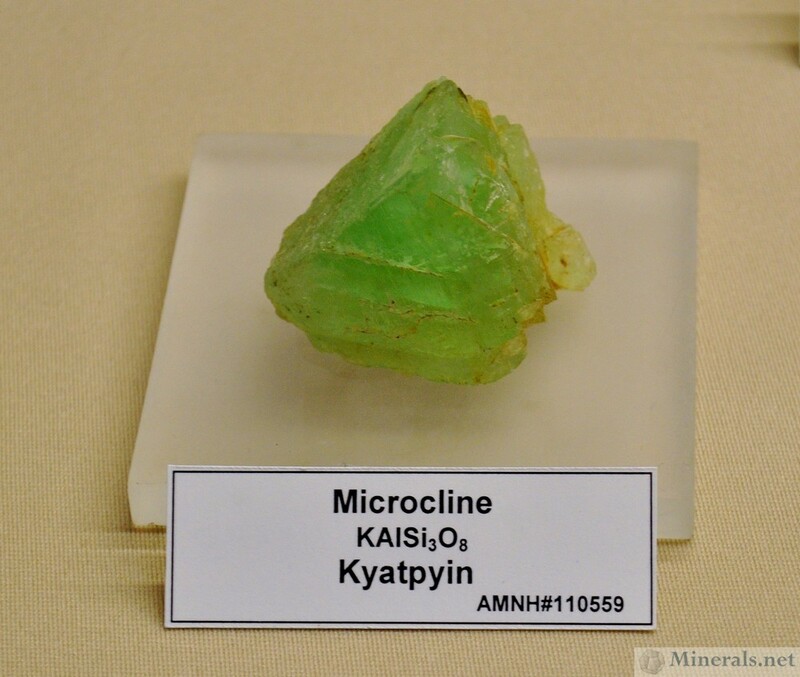 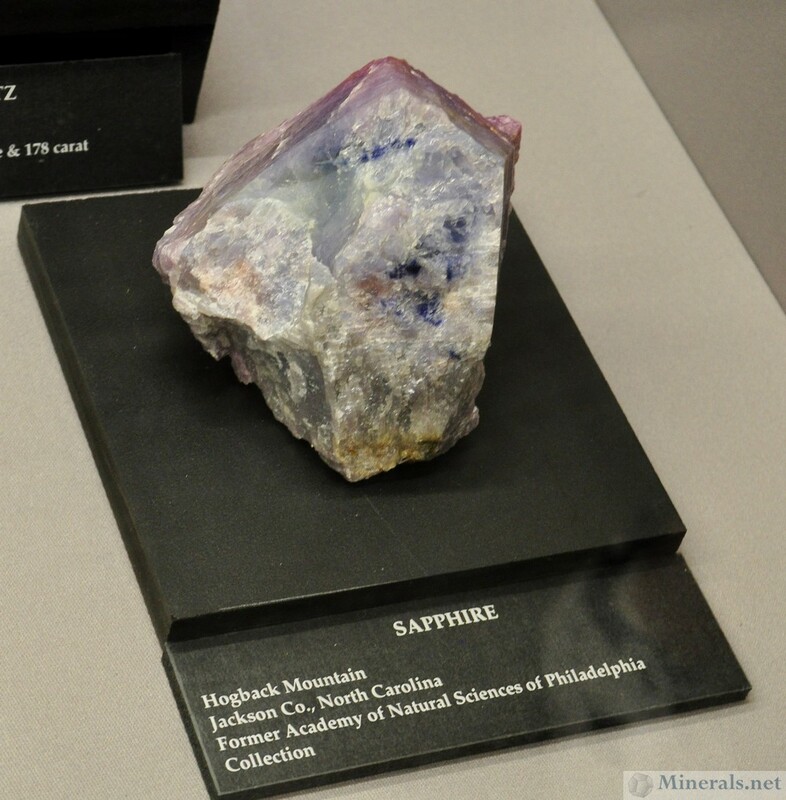 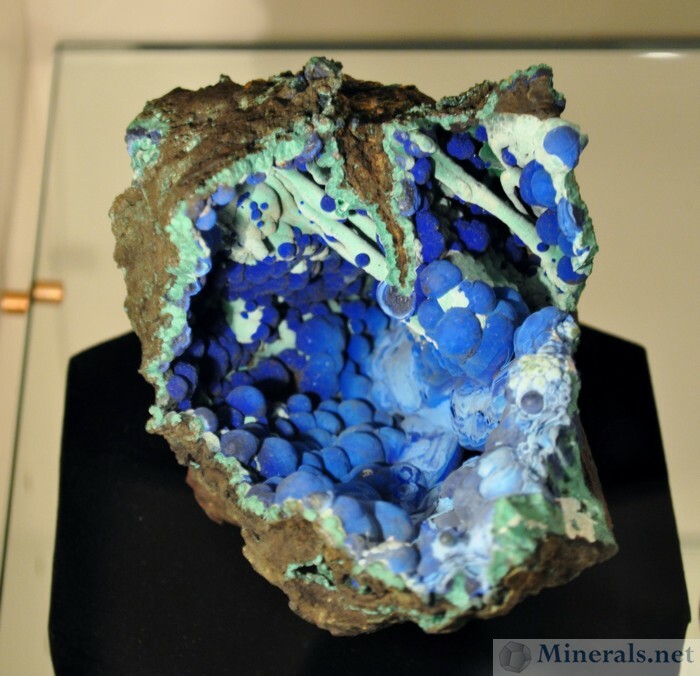 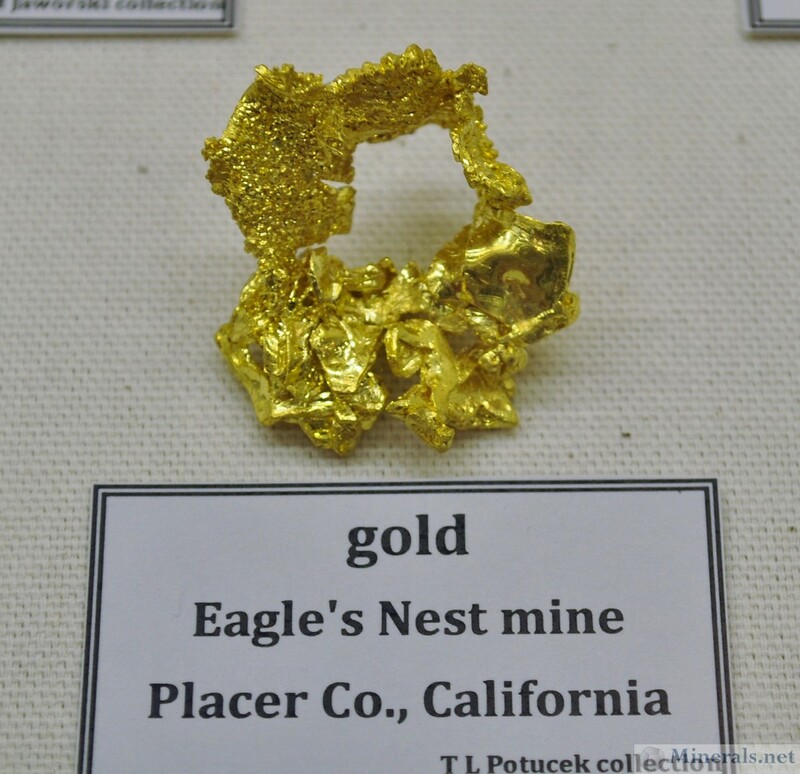 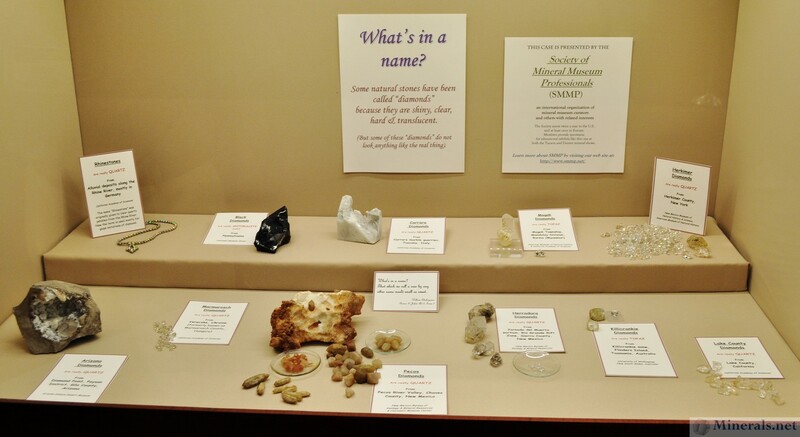 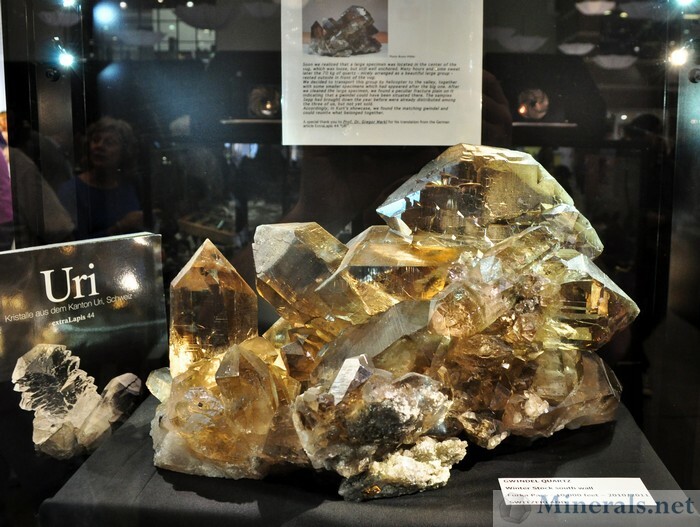 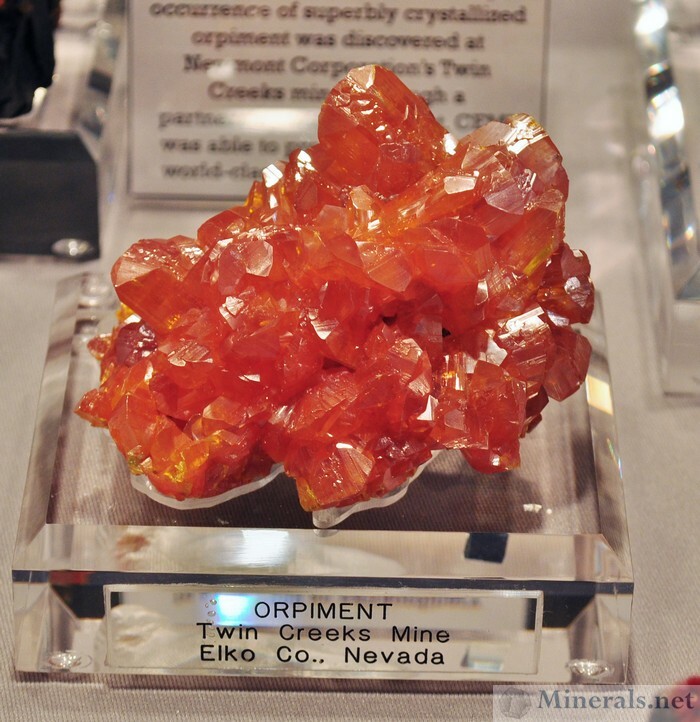 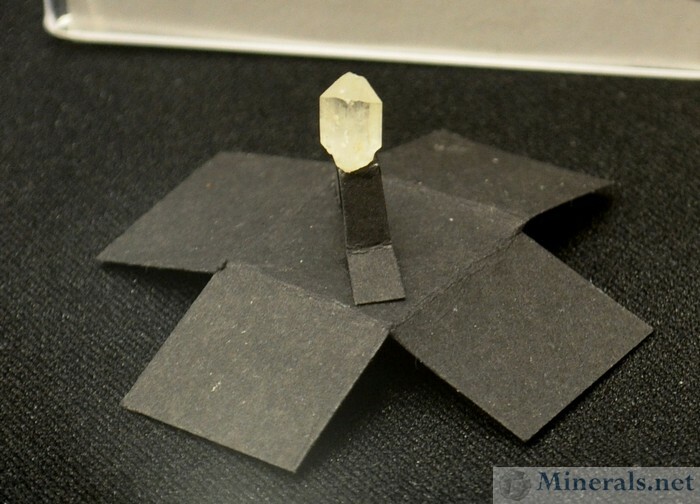 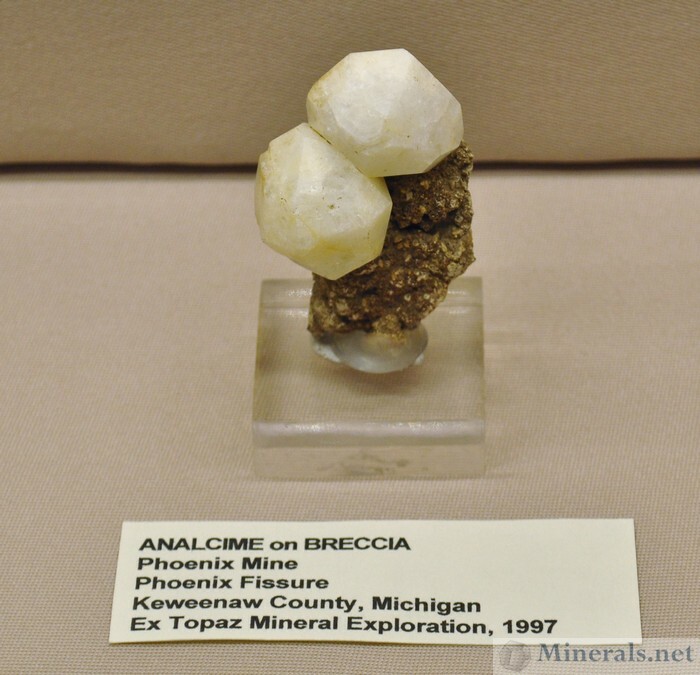 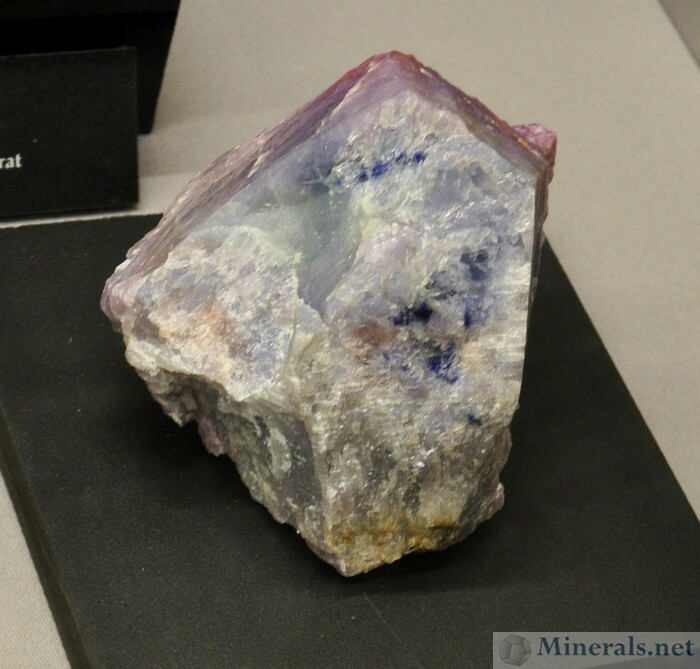 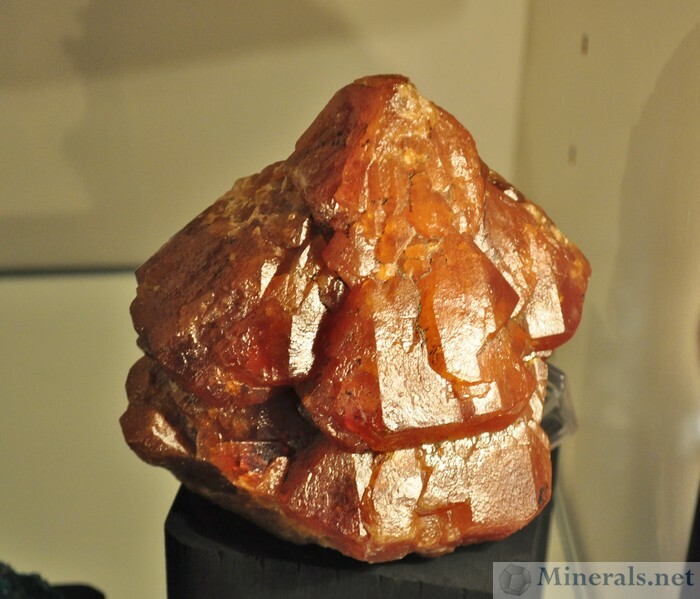 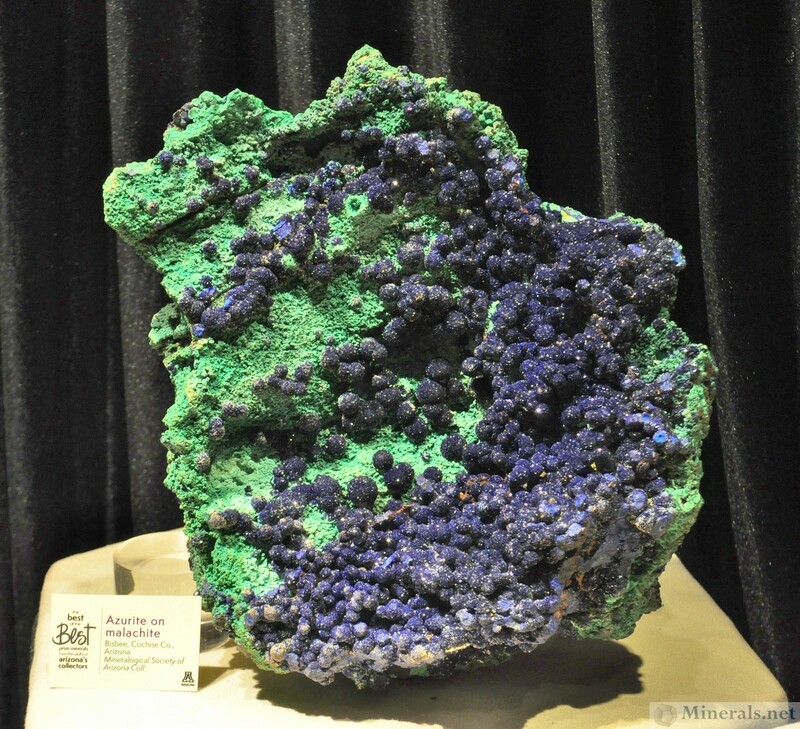 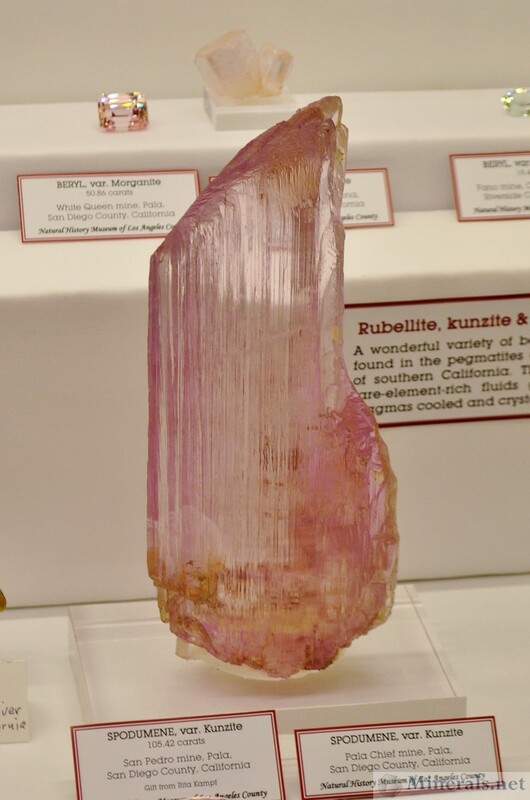 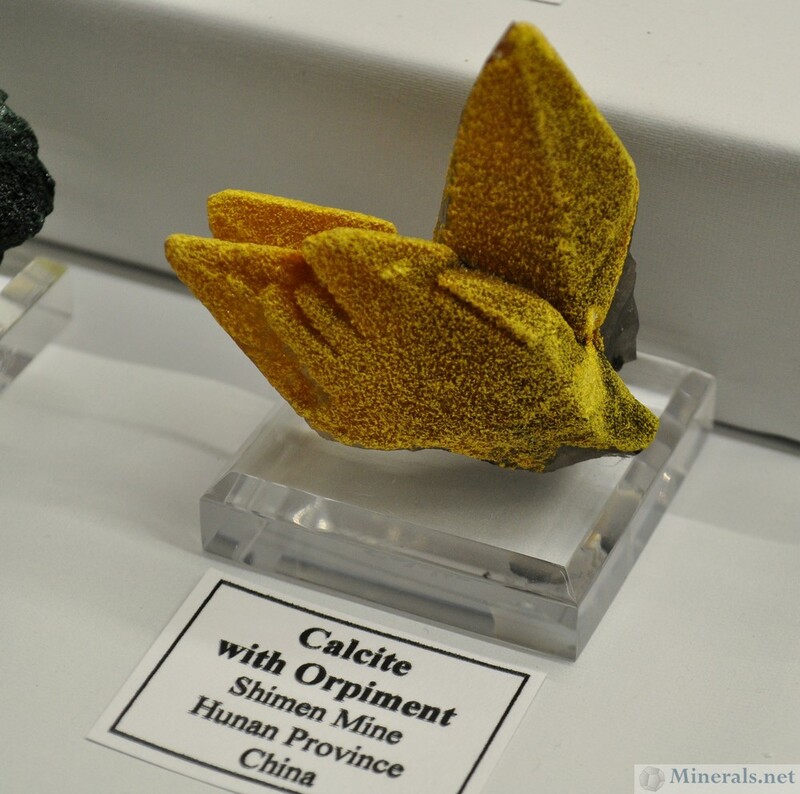 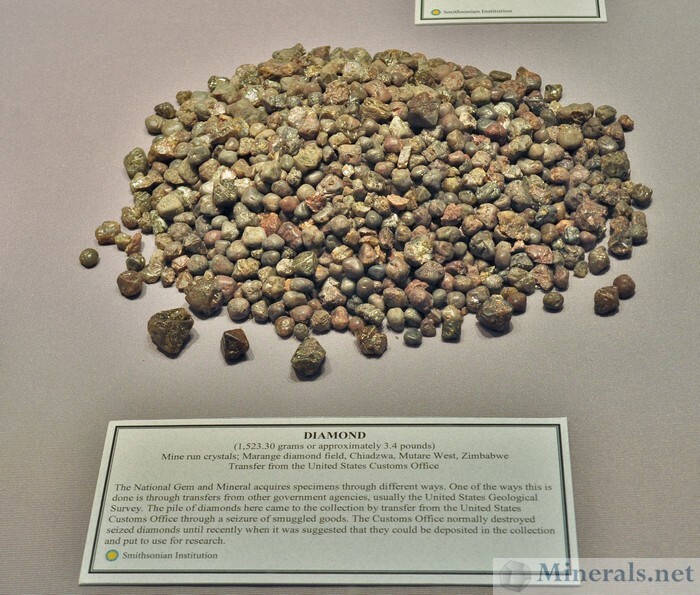 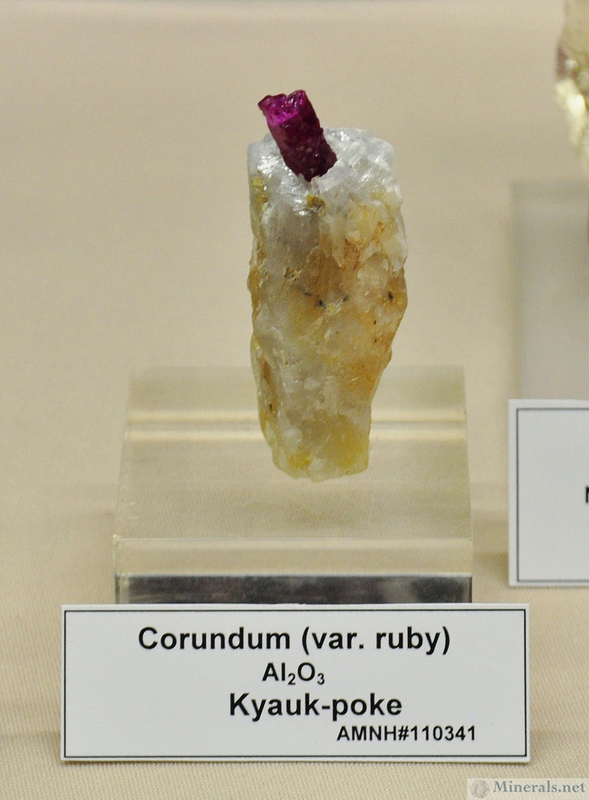 This blog post lists some of the individual minerals I photographed from the public exhibits. 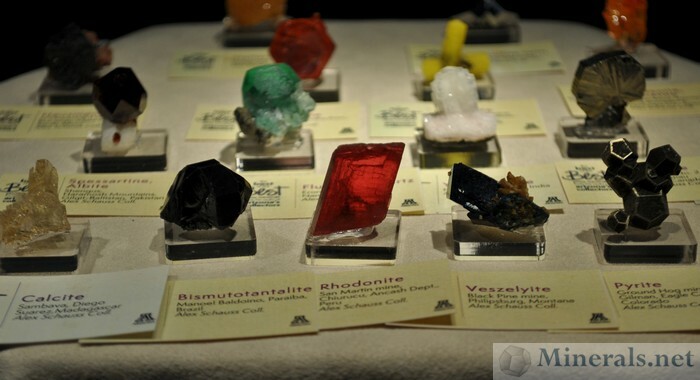 Though there were thousands of minerals within the multiple showcases, and most of them were of interest and picture-worthy, the ones I photographed individually stood out to me for some reason or another, either because of their rarity, uniqueness, or interesting habit not commonly seen. 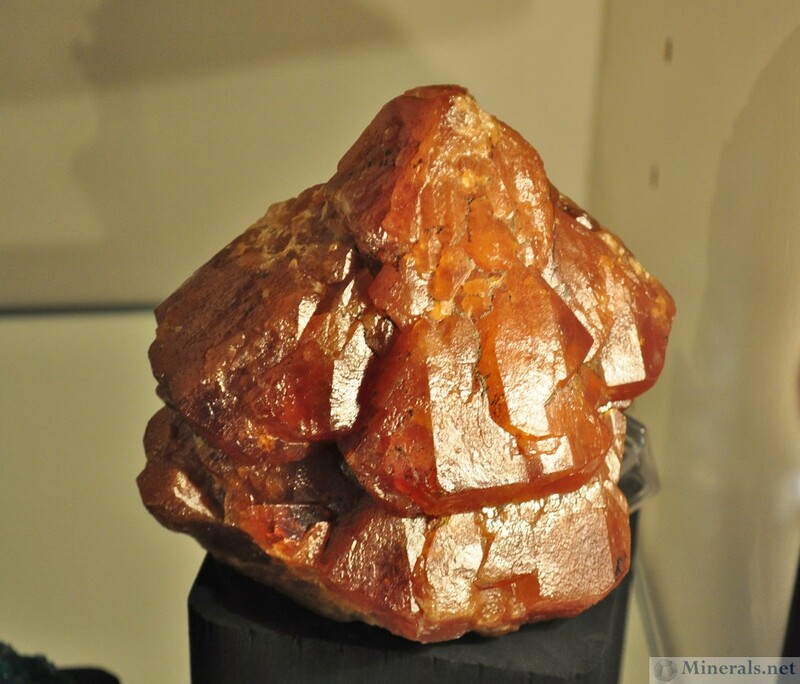 I have 28 pictures and will divide them into two posts. 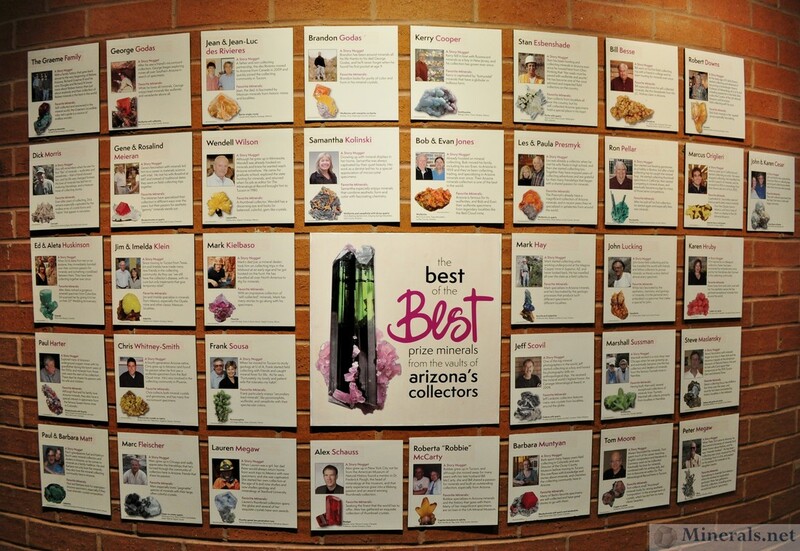 There is no specific order here - they are in order of the sequence of when I photographed them. 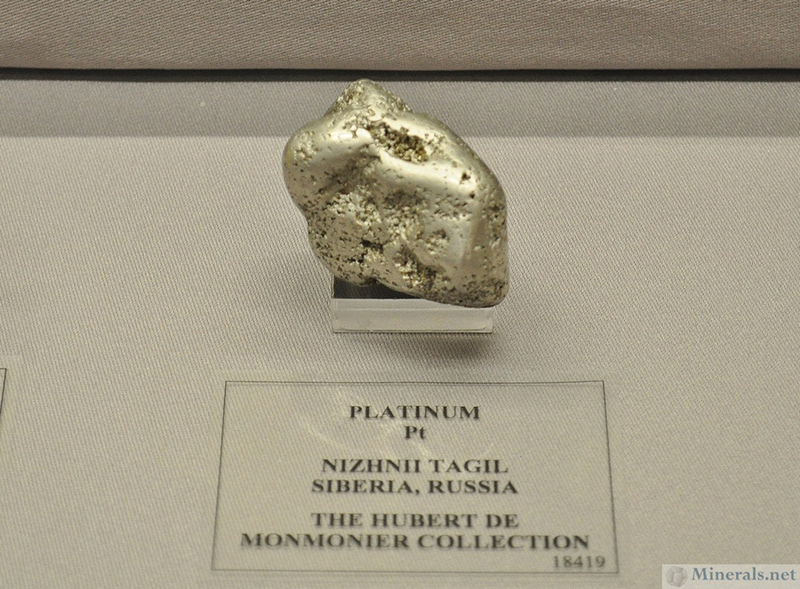 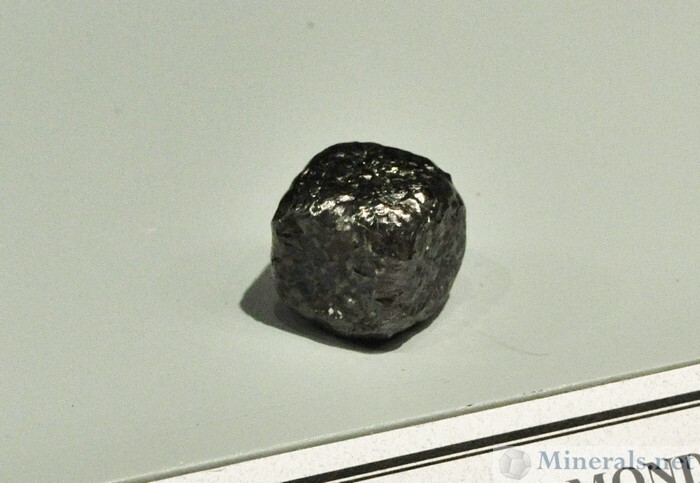 Platinum Nugget from Russia. From the Hubert De Monmonier Collection.